UNESCO added Chandigarh’s Capitol Complex,Sikkim’s national park home and the world’s third highest peak Mount Khangchendzonga among its World Heritage Sites, approving all three nominations linked to India this session.This is the first time that any country got three sites inscribed in the Word Heritage List at a single session of the committee meeting. India now has 35 sites, including 27 cultural properties, seven natural sites and one mixed site, notified as World Heritage Sites. Khangchendzonga National Park (KNP)- The KNP became India’s first mixed World Heritage Site after fulfilling the nomination criteria under both natural and cultural heritages. The park exhibits one of the widest altitudinal ranges of any protected area worldwide. It boasts of a unique diversity of lowlands, steep valleys and snow-clad mountains, including the world’s third highest peak, Mt. Khangchendzonga, besides numerous lakes and glaciers, the communication said. The KNP, which covers 25 per cent of Sikkim, is home to a significant number of endemic, rare and threatened plant and animal species. A large number of bird and mammal species has also been recorded from here.The park combines the religious and cultural practices of Buddhism as well as the ecological significance of the region, and stands out as an outstanding example of traditional knowledge and environmental preservation. It is also a unique example of coexistence and exchange between different religious traditions and people. 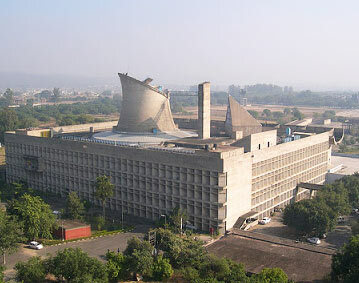 Capitol Complex:- Chandigarh’s famed Capitol Complex, which includes the Legislative Assembly, Secretariat and High Court, was designed by French architect Le Corbusier.The complex was designed by Le Corbusier in the 1950s when the city was constructed as a symbol of independent, modern India. Nalanda Mahavihara (Nalanda University):- Nalanda stands out as the most ancient university of the Indian Subcontinent. It engaged in the organized transmission of knowledge over an uninterrupted period of 800 years. The historical development of the site testifies to the development of Buddhism into a religion and the flourishing of monastic and educational traditions.